From the pedigree Monterey collection. 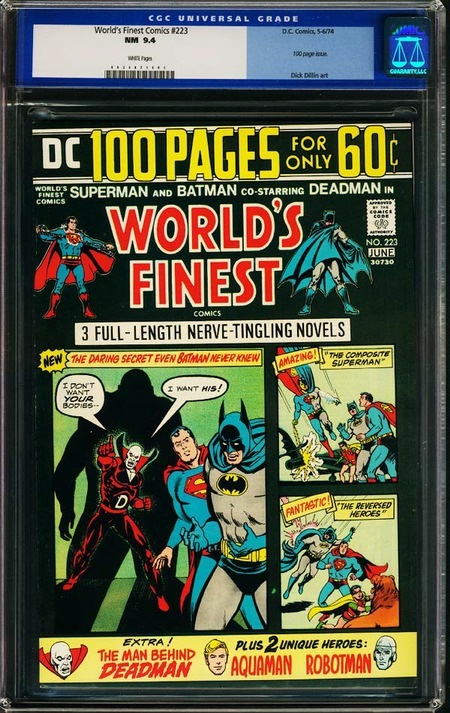 Superb fully fresh copy of this Giant 100-page square-bound issue stars Superman and Batman with special guest star Deadman. Aquaman back-up feature as well. This book is from a super high-grade collection which surfaced from Monterey, CA and is characterized by superb structure quality and super fresh paper. Top certified copy!